I love Saturday mornings. I get the luxury of lounging about for a while. Not something that happens a lot in my life. I usually take the time to do five crossword puzzles, read the horoscope, finish my post for my group blog if I haven’t already done it and saved it, and then its time for the shower. As I write this, I am still in my robe and it is 8:45 a.m. Nice, leisurely morning. Things will change, though as I have to run lots of errands today. And I am close to finishing the first draft of my latest manuscript and while I’m excited about that and plan to get it done today if at all possible, I then have the dreaded edits to work on. Hate that part. Alas, must head to the shower. Not much to report other than I am chasing 40,000 words on my WIP. It has thrown me several curve balls but I am enjoying the ride. I will be pitching it under my pen name because of the content. Wouldn’t do for my clients to know about my romantic side. Gotta be the tough lawyer for them. Ever have one of those writing days where each word is torture? Sheer, pure, agony? I had one last night. I mean, every word was hard fought and excruciating. So, I finally decided I had had all I could take and went to bed with the thought that it would be better to re-start that scene from scratch on another day. Guess what? Today, in the cold light of dawn, I got a chance to look at the words that were dragged out of me and shock me– they were pretty good. Not stellar but good nonetheless. I am not going to have to trash the lot of them. A little tweaking and I’m moving on to the next scene. Whew (she wipes brow in relief). I’ve decided not to submit a short story to Strange Mysteries. 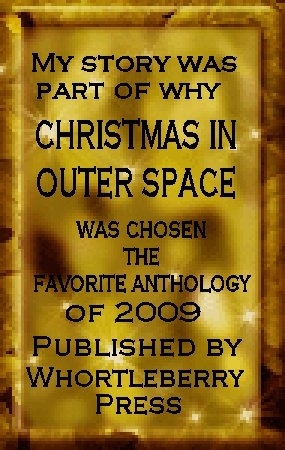 It is an anthology that I had intended to submit a story I started. Since I am deep into my new full length manuscript, I don’t feel I have the time to polish the little story about my psychic lemur. Maybe next time. had an enjoyable day off. Wrote for part of the morning. Went to a movie and saw Young Victoria. I very much enjoyed it. Men in tight pants always makes me happy. Rupert Friend was excellent as Albert. James Broadbent, as King William was, as usual, excellent. Love him. Here’s a tribute to two great men of our Nation: one who helped found it and one who kept it together at all costs, even at the cost of his own life. Two men well worth honoring. I regret that more places do not close in their honor. It is a bone of contention even. Anyway, I thank them for their service to this Great country. I will still post here as I am using the pen name for the romances. My literary short stories will continue under my real name. I shall become bi-polar. Check out her inteview on our group blog. That’s the number of words so far in two chapters of my WIP called Runaway. I am amazed already where my heroine is taking me. I thought I knew her background. HAH! That’s what I get for thinking. She has stunned me with her secret. This one should be an experience to write. Dare I hope that it is the thriller I have wanted to write since the one I lost in a computer crash in 1998? I need to tell myself not to get too hopeful this early in the game but I am optimistic.